Brian Cosgrove loved the game of basketball. 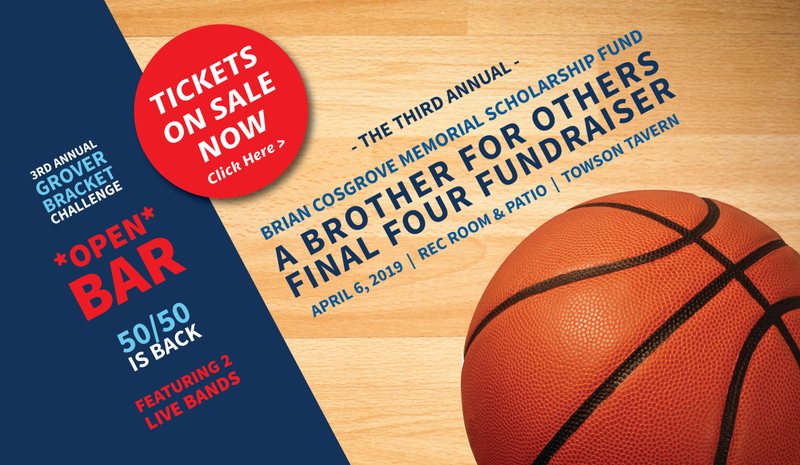 Remembering his passion for the sport, the annual Brother for Others Final Four Fundraiser on APRIL 6, 2019 raises money for the Brian Cosgrove Memorial Scholarship Fund at Loyola Blakefield. Learn more or donate here.